A new take on the classic fairy tale, adding a drastic twist. 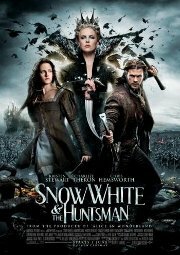 Instead of killing Snow White in the woods, the Huntsman lets her go. He teaches her to fight and survive, and then they go back to tackle the evil queen. The distributors have kept this away from the press overseas, which his never a good sign. Action, Adventure, Drama, Fantasy, Period piece.